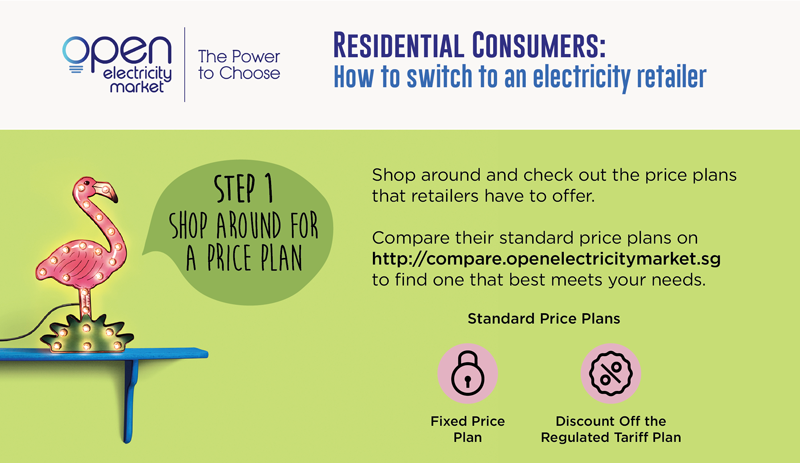 Before you make the switch to buy electricity from a retailer, here’s what you need to consider as a residential consumer. Click on each step in the infographic below to find out more. Click on each step in the infographic to find out more. Before you sign up, remember to read the consumer advisory for residential consumers. 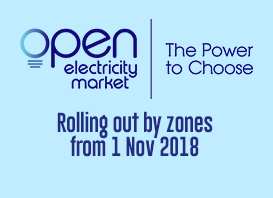 Enjoy a fixed discount off the prevailing regulated tariff (e.g. 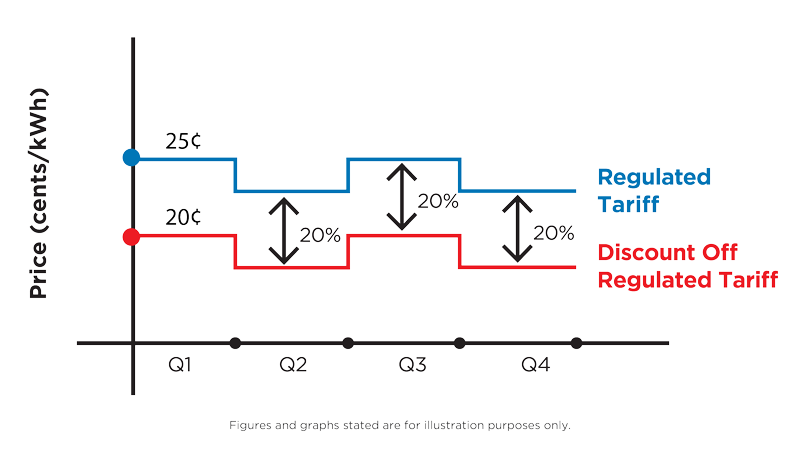 20%) throughout your contract duration. This is suitable for consumers who do not mind that their electricity rate changes every quarter so long as it is lower than the regulated tariff. 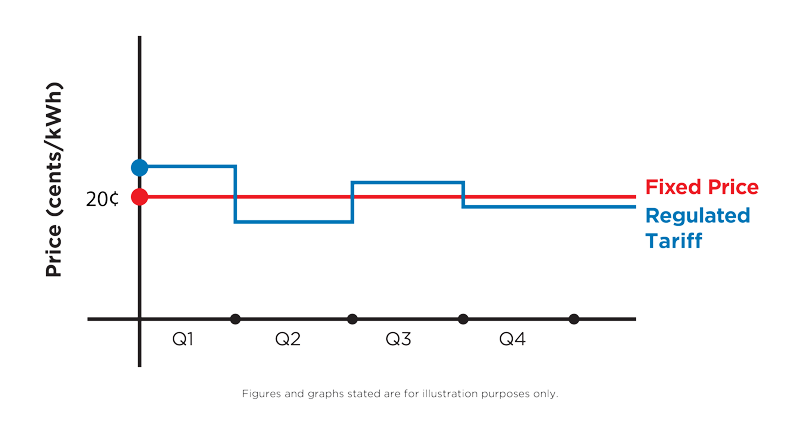 The regulated tariff is reviewed by SP Group quarterly, and approved by EMA. 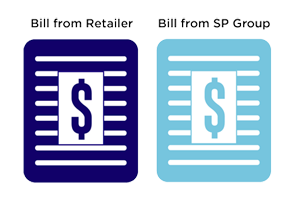 Retailer may either bill you directly or via SP Group. Your billing arrangement will depend on the retailer whom you choose. You will receive two bills. 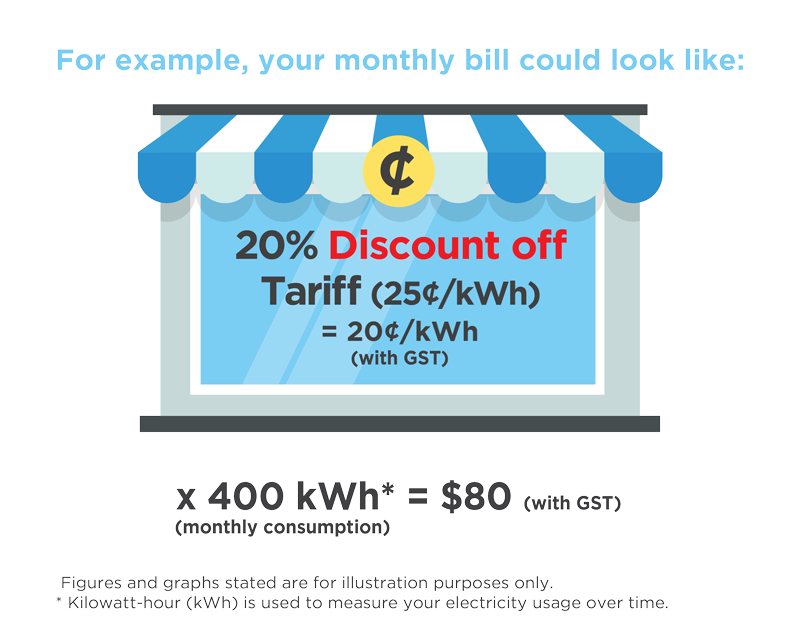 One bill is from your retailer for your electricity charges. You will need to set up new GIRO or credit card arrangements to pay for your electricity bill. 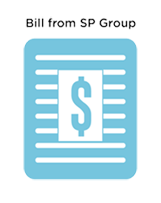 The other bill from SP Group is for your non-electricity charges (water, town gas, refuse collection). There will be no change to your current utility billing arrangement. You will continue to receive one bill from SP Group for both electricity and non-electricity charges. Contact your preferred retailer for details on the price plan that you are interested in. Ask for a Fact Sheet of the price plan and a Consumer Advisory that outlines the important things that you should be aware of before signing up. Look out for contractual terms such as contract duration, payment terms, security deposit, early termination charges and auto-renewal clauses. Ask if there are any terms and conditions associated with bundled services or products. Read through your contract, and ask your retailer to explain the terms and conditions if you do not understand them. Sign up with your preferred retailer, who will work with SP Group to make the switch for you. Your latest meter reading is required to make the switch. Your retailer will advise you on how and when to submit your meter reading. Alternatively, SP Group will estimate it for you. Your contract can start as early as 5 business days after your retailer informs SP Group to make the switch.